We believe there is special love and dignity associated with your home. You’re surrounded by cherished mementos and photographs of family members, each one bringing back memories of special occasions or that wonderful vacation. Familiarity provides comfort. Our reputation is reflected in stellar patient satisfaction scores— we rank above the national average in all eight categories on a national caregivers’ survey. These categories included areas such as “emotional and spiritual support” and “treating patient with respect.” The scores reflect that 92 percent would recommend Lower Cape Fear Hospice to others. 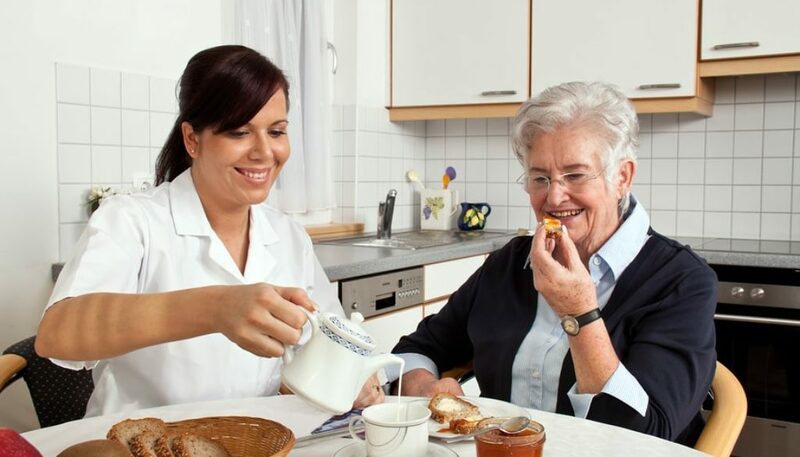 What type of care is available at home? Both hospice care and palliative care are available at home with the goal of making you or your loved one as comfortable as possible. The goal of both is to improve quality of life by managing pain and other illness-related symptoms, as well as provide support and coordination of care. Volunteers to provide companionship, respite, and assist with tasks such as running errands, walking pets, and performing lawn care. When can you start palliative care? Palliative care can begin at any point after you’ve been diagnosed with some type of long-term, serious, and/or chronic illness. The focus of palliative care is improving the quality of your life, and you can access it at any age and any stage of your illness. The goal of palliative care is to ease your pain, manage the symptoms of your illness, and provide support and coordination of care. Our palliative care nurse practitioners will visit you once or twice a month in your home to access your needs and provide a tailored plan of pain and symptom management. You do not have to leave your current physician to receive Lower Cape Fear Hospice’s palliative care services. How can you access palliative care from home? To start the process, all you have to do is complete a referral form. When can you start hospice care? Anyone facing a life-limiting illness, whose current prognosis indicates a life expectancy of six months or less, can qualify as a hospice patient. Hospice care can begin as soon as we receive a referral. You can receive a referral from your physician or you can refer a loved one or even yourself. How can you access hospice care from home? To start the process, all you have to do is complete a referral form or call 1-800-733-1476. The professionalism and genuinely kind service we received was one of a kind. My father received both the home care service and in-center service,” said the son of one of our patients. “From the staff to the volunteers, they truly made my dad’s passing less painful. Yes. Our professional team of compassionate health care providers is available 24/7. All have extensive training in treating hospice patients. How do I get started with hospice and palliative care? Talk to your doctor about palliative or hospice care. Remember that you can access palliative care at any point after your diagnosis. Obtain a referral. Remember that you can refer others and even refer yourself to hospice care. Complete a referral form on our website or call us at 1-800-733-1476 for help. While a Living Will or Health Care Power of Attorney are not needed to begin hospice and palliative care, it is important to have a conversation with your family and loved ones about your wishes, should you one day not be able to express them. You can find more information on these resources at Begin the Conversation. How do I know what kind of care is right for me? We understand that getting the care you need can be a confusing process; therefore we’ve made it as easy as possible to help you determine if hospice or palliative care is the right choice for you. Simply complete our online information form to get the answers you need.